As many of you know, my “day job” is as a design anthropologist working with corporations, universities, and arts organizations. 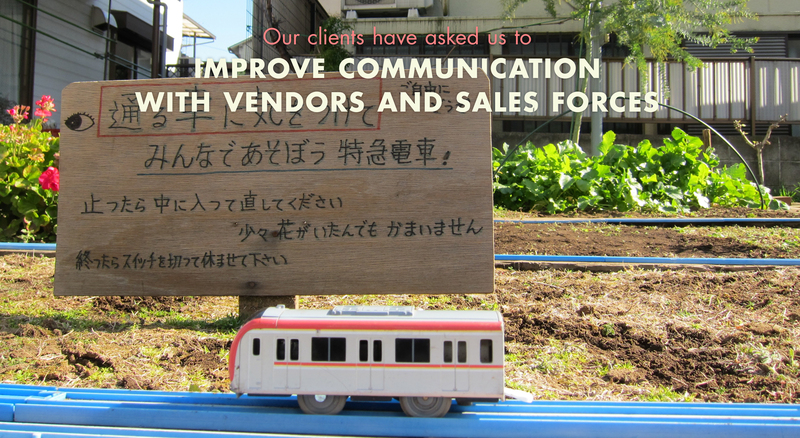 Recently, I re-formed my thirteen year consulting company as Social Models. 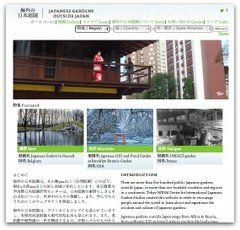 Thanks to the amazing designer, Tokyo resident Luis Mendo, the new site’s images combine my love of photography and offbeat urban stories to show how design research rests on close observation and makes new opportunities visible. I can’t thank Luis enough for his skills at helping me communicate my passion for research and design in Tokyo and San Francisco. 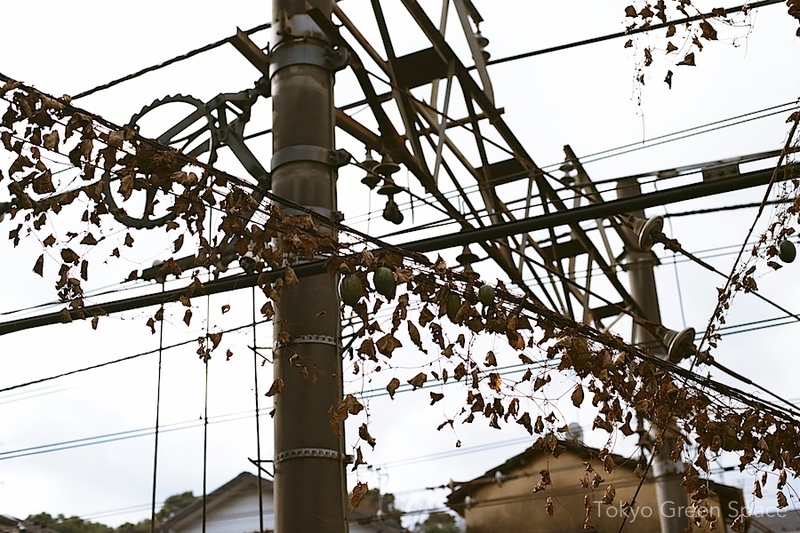 This weed-like vine is full of fruit, hanging from the power lines near the Odakyu rail tracks. In Japanese, it’s called “karasuuri,” and some varieties are used in Chinese medicine. I love how rampant it is, even in winter. 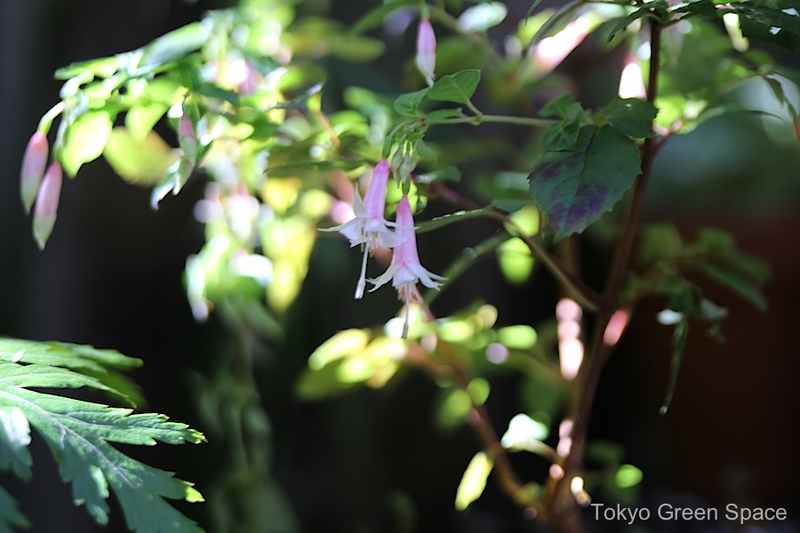 Also at the San Francisco Botanic Garden, I bought some unusual fuchsias. 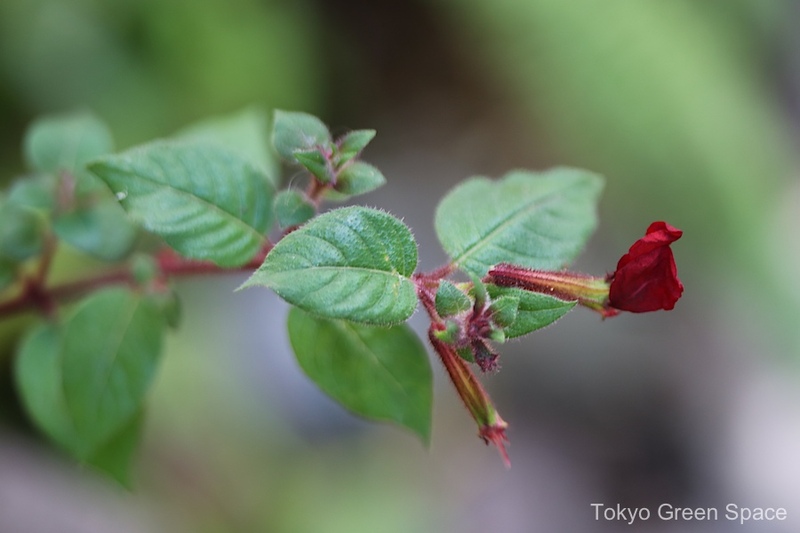 I love the tiny pink and white flowers above, and the deep red, extended petals below. They brighten up a shade garden. Japanese kids love to use nets to capture small wildlife. 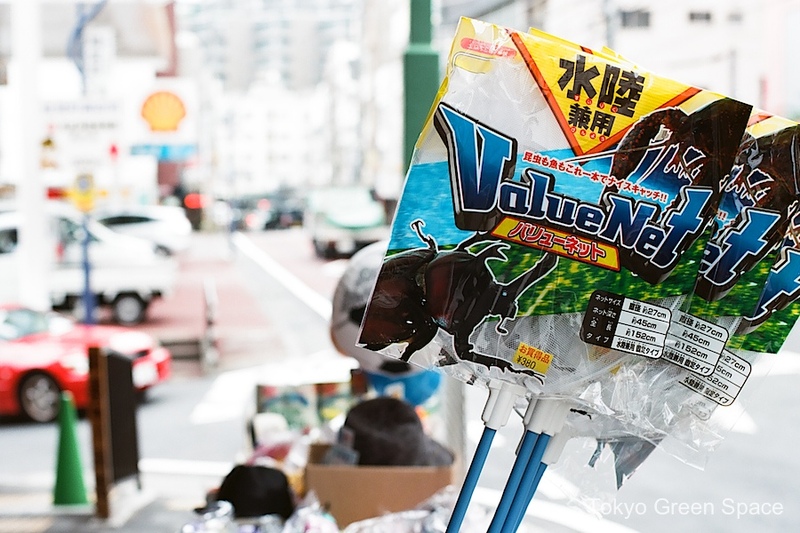 This net can be used to capture kabuto mushi beetles on land, and also crayfish in creeks. 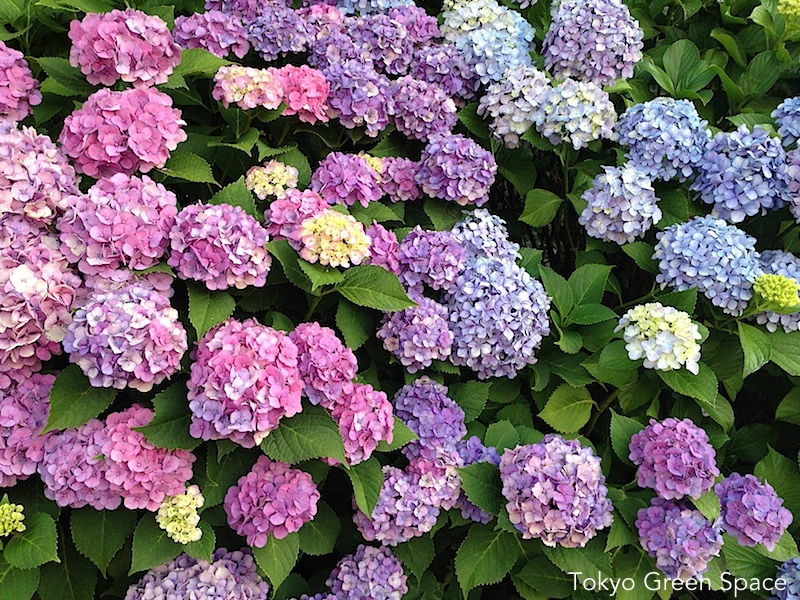 Which hydrangea do you like best? I love all types. I love all types of hydrangea. 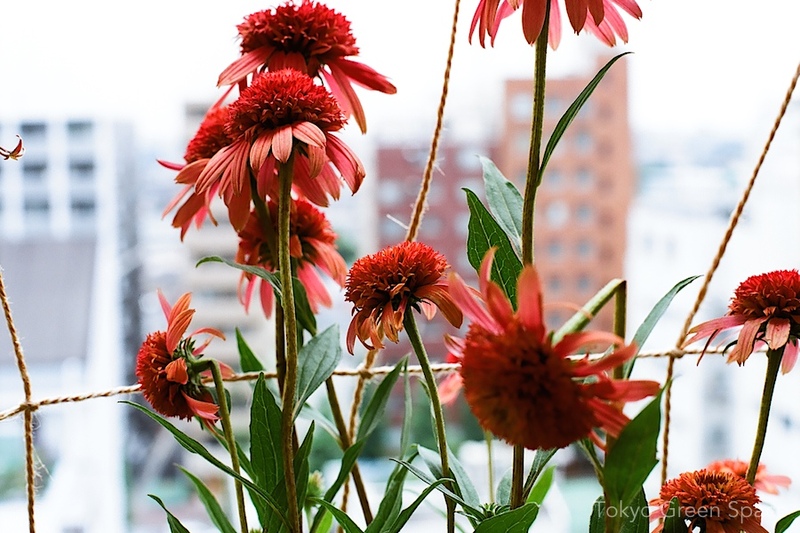 They are always so oversized, and particularly well suited to Japan’s rainy season. I like the elegant ones that bloom more sparingly, and also the giant pom pom types that come in so many different shades. 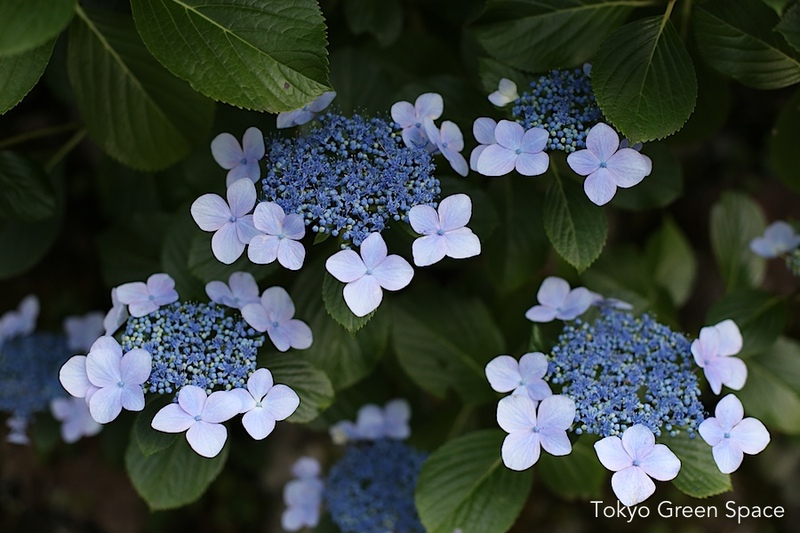 Recently we saw hydrangea planted on the border of small rice fields in Izu. Why fight over barren islands? Why dream of racial purity and long-gone patriarchy? Why resist the urge to get to know each other? 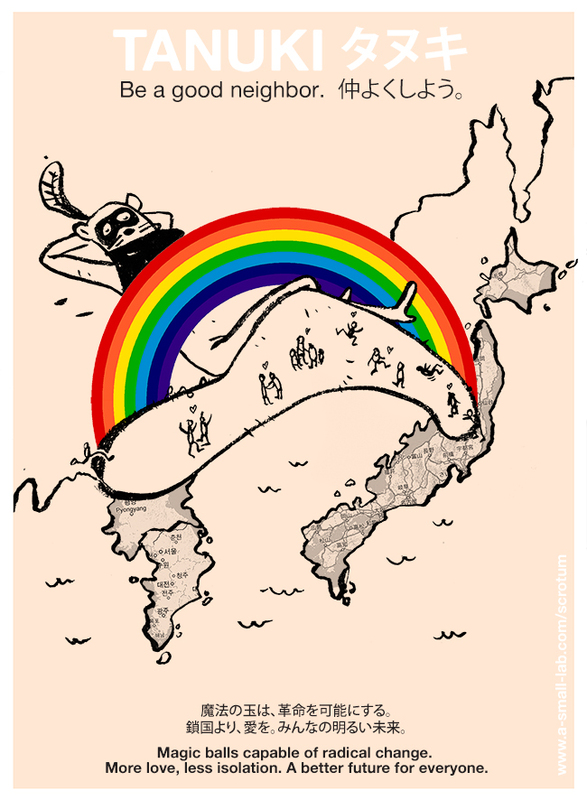 Another brilliant tanuki poster from Luis Mendo. 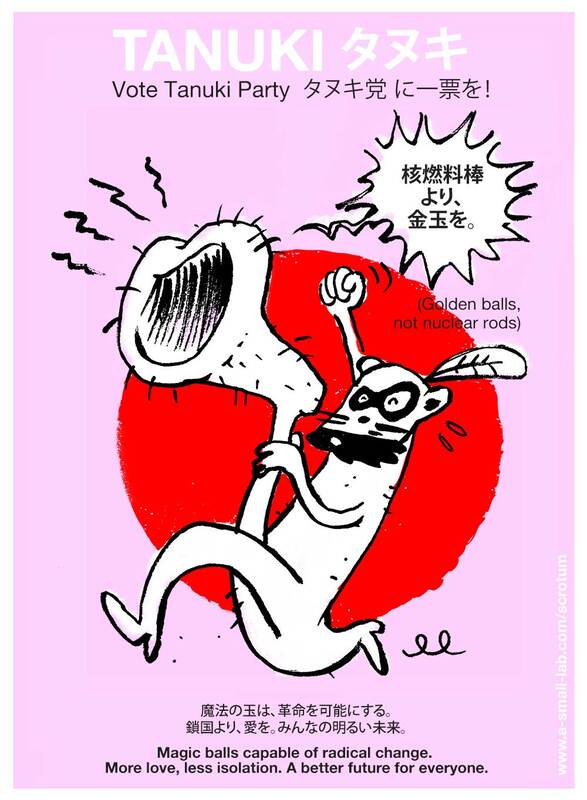 In a time of rising conflict between Japan and its closest neighbors, tanuki offers his enormous balls as a physical bridge and shared space for international, inter-species, and multi-sexual dancing and frolicking. It’s time for truth, reconciliation, and love! While many residences and business have common and inexpensive plants in public space or along the line dividing public and private, it is also amazing to see valuable plant collections on display outside homes and businesses. As an American, I am simply amazed that these labors of love and time are not destroyed or stolen. Here’s two views of a residential home’s bonzai collection. I am taken by the gardener’s generosity and the public’s respect.